The World Class Manufacturing (WCM) is a structured and integrated manufacturing system that embraces all plant processes, from safety to the environment, from maintenance to logistics and quality. Its aim is to continually improve production performances, pursuing a gradual reduction in waste, so as to guarantee product quality and the utmost flexibility in satisfying customer requests, through the involvement of plant workers. The areas of operation of the WCM are subdivided into 10 technical pillars and 10 managerial pillars, with incremental improvement levels and clearly identified and measurable results for each one of them. The growing focus on energy issues has also been transposed into WCM methodologies, by developing within the Environment pillar a specific Energy sub-pillar, in order to enhance the ability to pinpoint and implement initiatives that allow waste reduction and improved energy use. WCM was launched at Magneti Marelli in 2007, in the Italian Electronic Systems and Powertrain plants in Corbetta and at the Automotive Lighting plant in Venaria. Today, it is implemented in almost all Magneti Marelli production plants worldwide. Currently, at Magneti Marelli three plants have already obtained the “Bronze Level Award”, which is the first milestone along the path to achieving the World Class status. For 2012, the challenge continues for the other Bronze plants and in conquering the “Silver Level Award”. Magneti Marelli believes that organizational homogeneity and the standardization of the processes and of the environmental management system are pre-requisites for the effective achievement of environmental objectives. The certification according to international standards and by independent bodies confirms the application of such homogeneity within the various Group companies. The actions undertaken through the years, with the crucial contribution of World Class Manufacturing activities, have made it possible for a total of 64 Magneti Marelli plants to be certified at the end of 2011 according to the international standard ISO 14001:2004. Moreover, in 2011 Magneti Marelli began an implementation process of Energy Management Systems, obtaining the first certification in compliance with standards EN 16001:2009 and ISO 50001:2011 at the Suspension Systems plant in Sulmona, which represented the pilot plant for this activity. 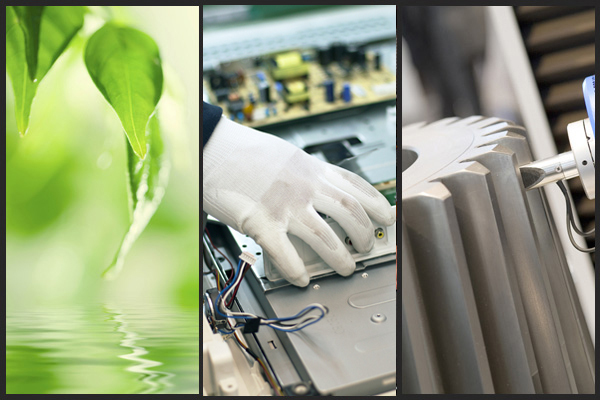 Magneti Marelli constantly monitors its performances in the environmental area, through a set of standard indicators concerning production and waste recycling, water consumption, emissions into the atmosphere and energy consumption of its plants. With respect to each Key Performance Indicator, specific improvement targets and action plans are constantly being defined and updated for its achievement. In order to increase its employees’ awareness of environmental and energy issues, in recent years Magneti Marelli has also organized interactive training sessions on an international scale (Workshop Environment & Energy – Europe and Brazil section) on Sustainability topics, in order to spread its culture at the capillary level and allow the sharing of best practices among the different company units. A project was launched in 2008 for the gradual adoption at all Magneti Marelli plants of a Workplace Health and Safety Management System according to standard OHSAS 18001:2007. The project basically consisted of two steps: the first step involved the Italian plants and was aimed at obtaining an initial external certification, according to UNI-INAIL Guidelines, on the Workplace Health and Safety Management System; the second step required the Italian plants to be certified according to international standard OHSAS 18001 and its extension to Magneti Marelli worldwide. For the purpose of ensuring the standardization of this activity, a single Certification Body was used (SGS), along with a set of common guidelines and procedure, which define the basic requirements deemed crucial for ensuring the health and safety of the workers. Magneti Marelli’s constant commitment on this topic has made it possible to bring to a total of 59 in 2011, up from 9 in 2009, the number of plants certified according to the standard OHSAS 18001. In Italy, 100% of the plants that undertook the certification process achieved their goal, while in the rest of the world the goal was achieved by 80% of the plants. This important acknowledgement, the result of the various activities undertaken, including with the significant contribution of the Safety pillar of the World Class Manufacturing, confirms the Company’s growing awareness at all levels in terms of risk minimization and management aimed at prevention and at continuous improvement. Over the next few months, the audits will be aimed at confirming the results achieved so far, while the last plants for which the certification has to be obtained will be busy implementing the Management System at their facilities. Training, both voluntary and mandatory pursuant to the law, on workplace safety is the basic tool with which to guarantee awareness and responsibility by all workers. From 2008 to 2011, Magneti Marelli has provided more than 130,000 hours of training on average per year to its employees on Health & Safety topics. To Magneti Marelli, Quality is one of the values that guide the company’s activities. Hence, it has decided to adapt its Quality Management System to the requirements of the technical specification ISO/TS 16949:2009, developed by the International Automotive Task Force (IATF). This specification standardizes and replaces the standards in force in the U.S., Germany, France and Italy for quality systems of the automotive sectors, including QS-9000, VDA6.1, EAQF and AVSQ, defining the Quality System requirements for the design, development, production, installation and assistance phase of all products pertaining to the automotive sector. The certification represents a mandatory requirement in the relationship with major carmakers operating in the global scenario. All Magneti Marelli plants are currently certified in accordance with ISO/TS 16949.